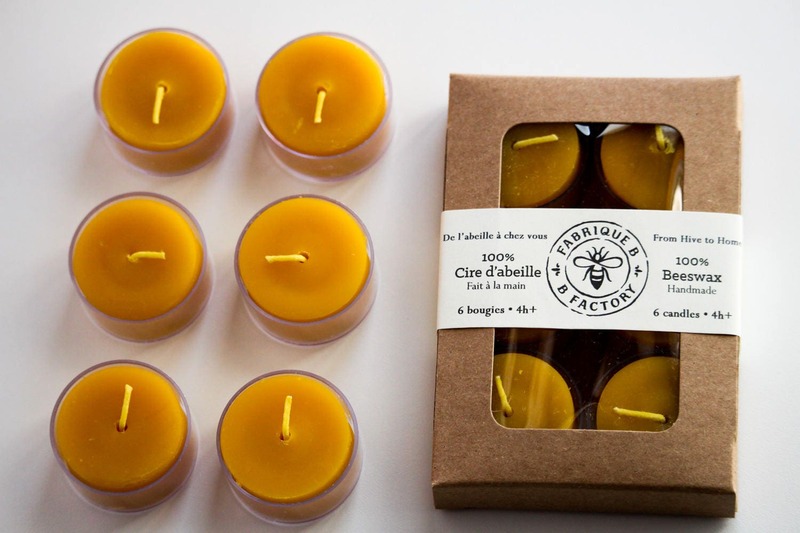 100% hand-poured beeswax tealight candles. 6 per box. Average burn time 4 - 5 hours. 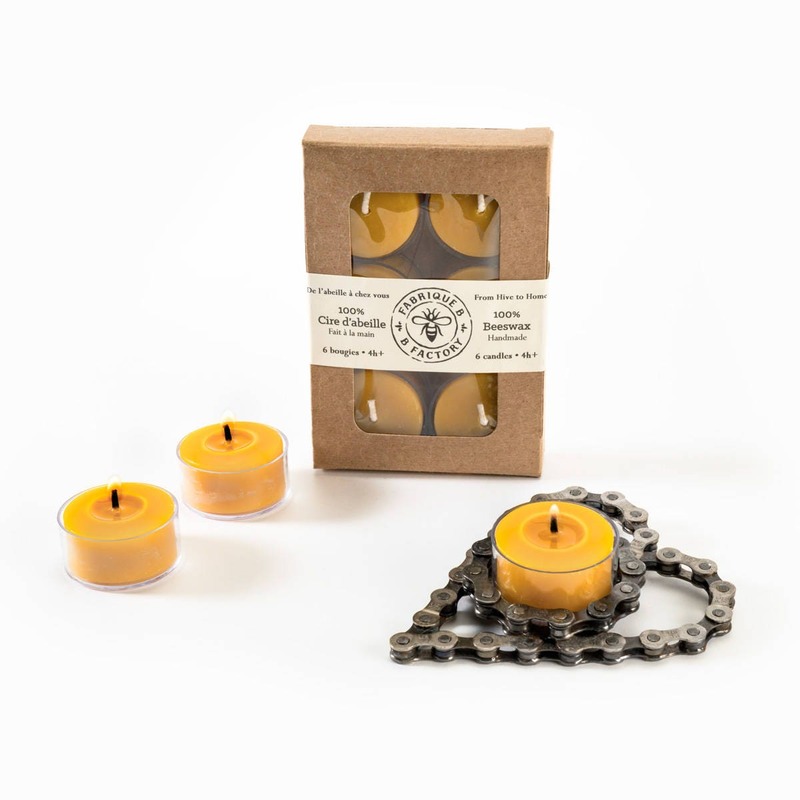 Beeswax candles burn clean and will even purify the air, by eliminating toxins and pollutants from the air. 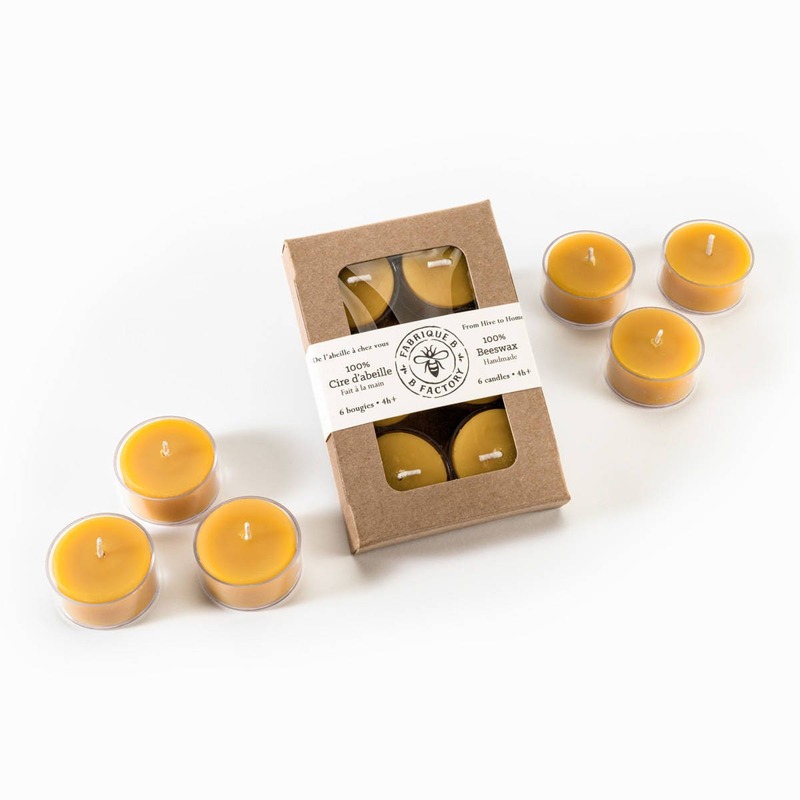 Try with beeswax luminary to give a special glow! Livraison rapide et ça sent bon la cire d'abeille!